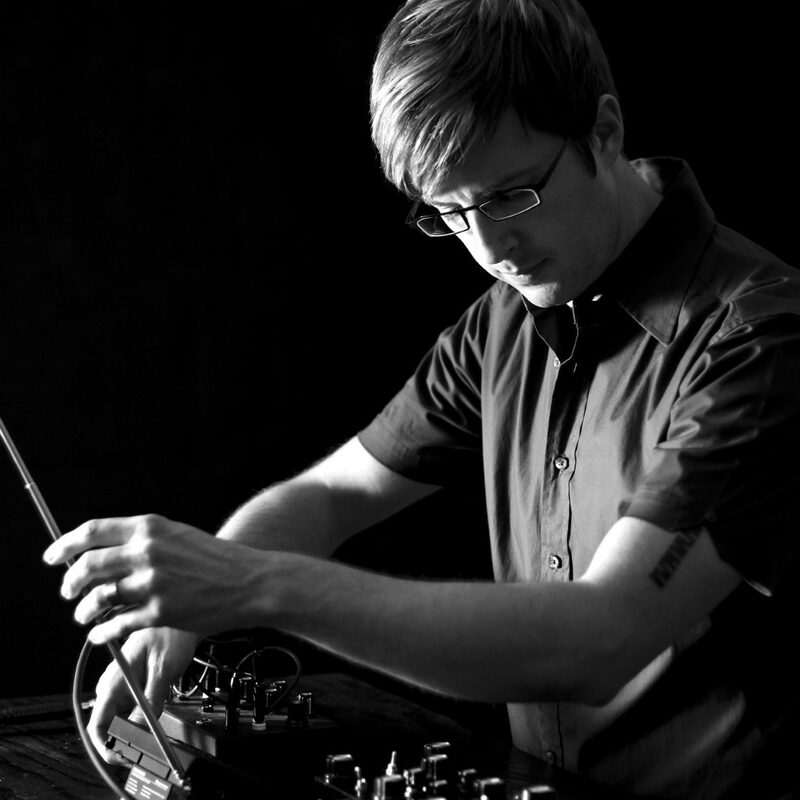 Jamie Drouin (b.1970) is a Canadian electronic sound composer, improviser, and visual artist. His minimalist works highlight the unique perceptual experiences which can emerge from reduced palettes, and the confluence of tones over time. Drouin’s compositions simultaneously speak of stasis and change, expanding to fill rooms like temporary sculptures of evolving mass and weight. For the past 18 years, Drouin’s primary instrument has been the analogue synthesizer, incorporating the additional timbres and noises, introduced by the slightest variation in electrical current, as important elements of change and chance in his compositions. Drouin has collaborated with several international artists, including projects with Lucio Capece, Johnny Chang, Crys Cole, Olaf Hochherz, Karl Kliem, Hannes Lingens, Yann Novak, Mathieu Ruhlmann, and Sabine Vogel. He co-founded Infrequency Editions in 2001 with artist Lance Austin Olsen. Together, they have produced numerous collaborative artworks, compositions, and installations. Featured at numerous international venues including Deutschlandradio Kultur (Germany), Sonica (Slovenia), Henry Art Gallery (USA), Biennial of the Americas (USA), Mutek (Canada), and TodaysArt (Netherlands). Drouin’s projects have also been supported by grants from the Canada Council for the Arts, and the British Columbia Arts Council. Recent published solo and collaborative audio works are available from Another Timbre, Caduc, Infrequency Editions, Intonema, Mikroton, Rhizome.s. Jamie Drouin lives and works in Victoria, BC. All works on this website are © copyright Jamie Drouin and may not be reproduced without express permission.